[*] Fixed bug in Two Humans mode. [+] Added hard game mode. [+] Added support of large fields. 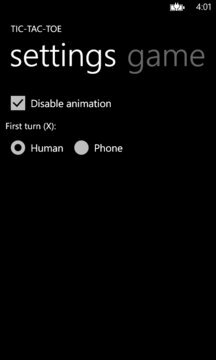 [+] Added Disable Animation option. 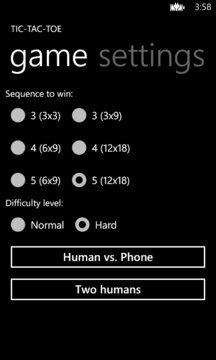 [+] Added "Phone vs. Human" mode. Phone will put crosses. [*] Fixed some bugs in bot logic.